Clear all jellies and reach 200000 points to complete the level. This level has hard difficulty and you need to break all jellies with grills and chocolate. For this level you should try to break first grills and then try to break single chocolate in every move so they wont increase. You should then play with few special candies with balancing the Odus owl. You shouldn’t waste any moves and play till last move as you could get any chance to reach requirement if you have luck. 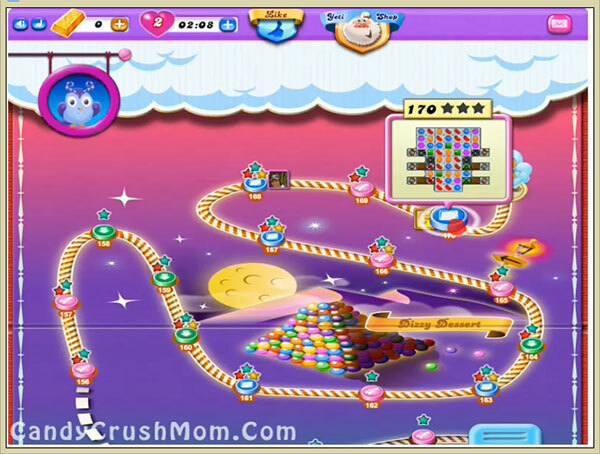 We completed this level with 374280 score by play more with special candies and got few colorbomb that help to reach requirement with two star score.